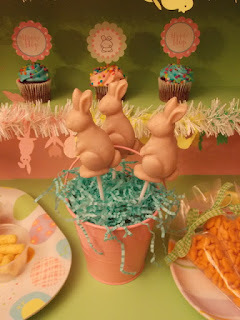 Did anyone else feel that Easter came & went too quickly?! This year I decided to plan a little toddler-friendly Easter egg coloring party for my 20-month old! My friend brought over her little boy, and we let the boys go to town. Here is the litte set up I created for them. I made sure to hang all the decorations lower, and put their party items on small furniture. 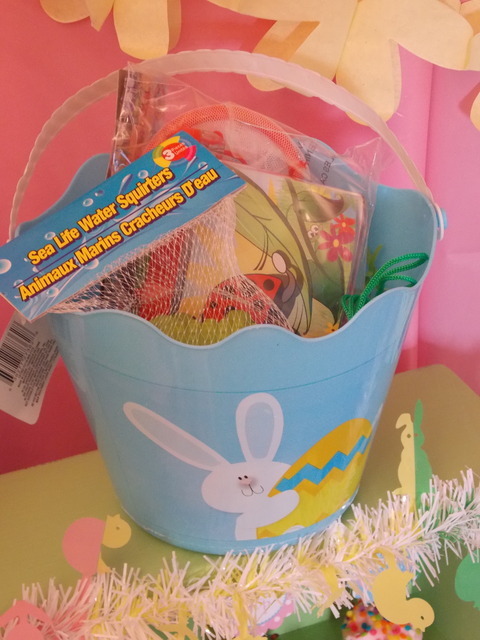 The party guests got to take home a bunny bucket filled with goodies. Inside the pails I put bath toys, carrot bubbles, and a bug catcher! 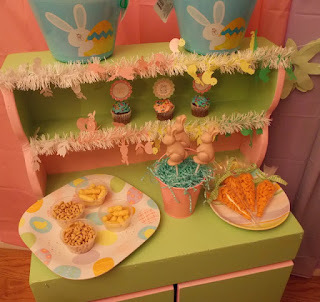 I re-painted this cute little shelf so I could display their snacks on it. 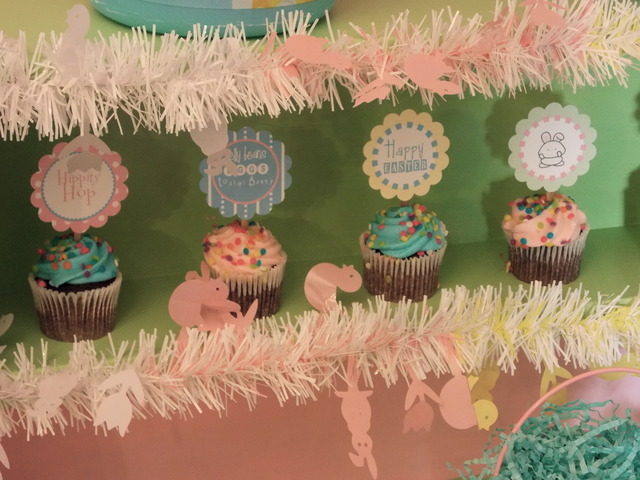 The cute little mini cupcakes were perfect for the Easter cupcake toppers I created. 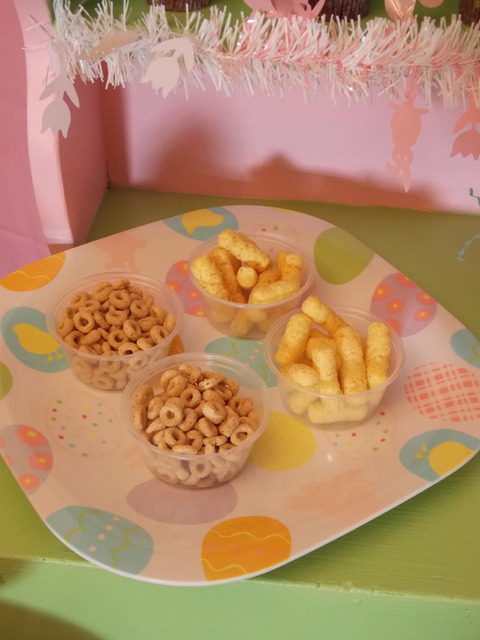 I served toddler-friendly snacks. They happen to be my little guy's favorite treats! Little cups of Cheerios, Gerber veggies snacks, and frozen Gerber yogurt bunny lollipops. 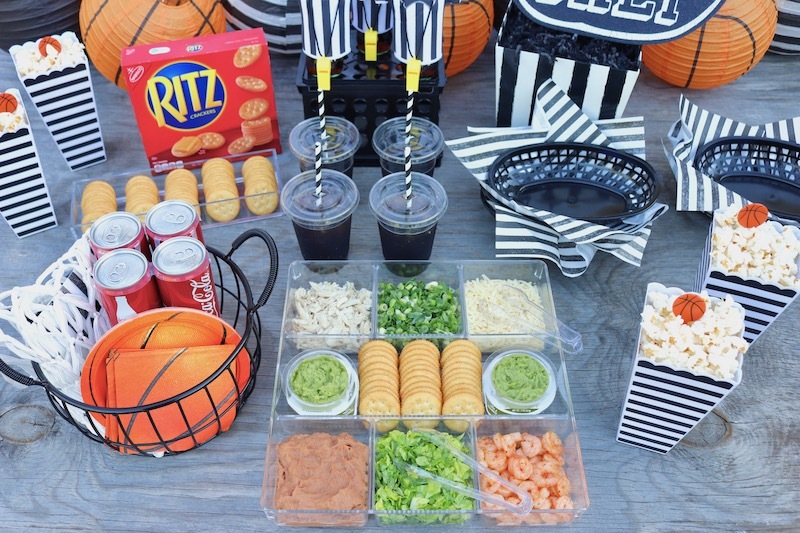 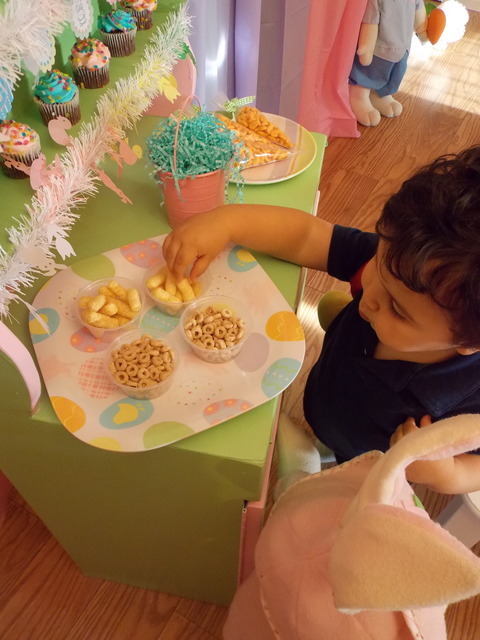 My little guy couldn't stay away from the snack table! 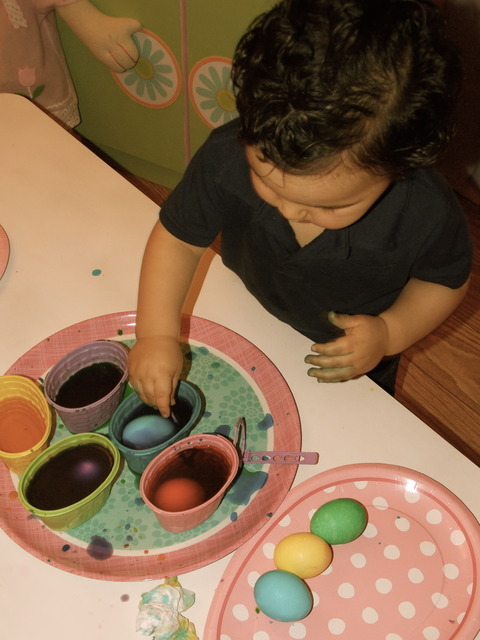 Now it was time to color Easter eggs! 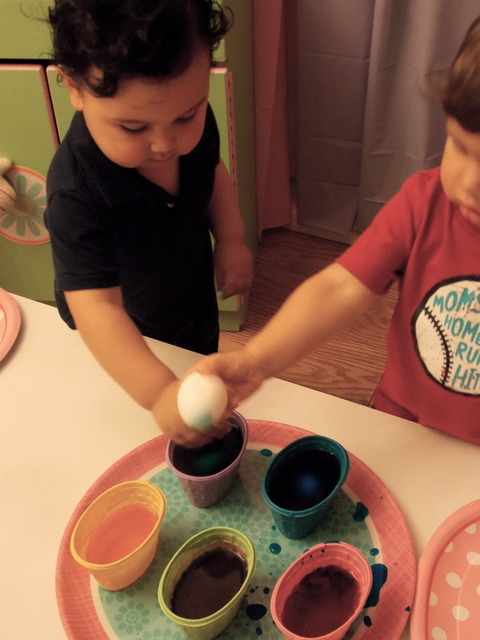 This was their first time coloring eggs! 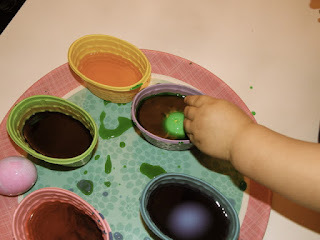 Of course there was some spalshing along the way! Ok.... so there was LOTS of splashing! Watching my little guy, and his little pal color eggs together, made my heart smile. 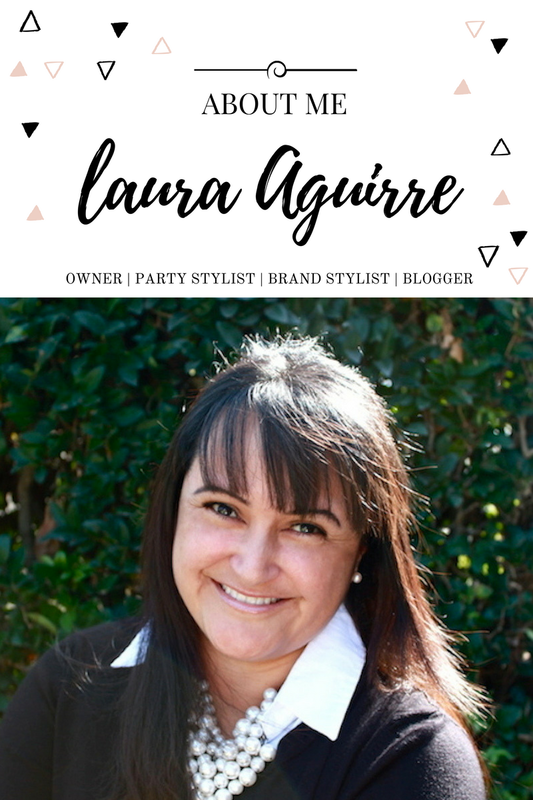 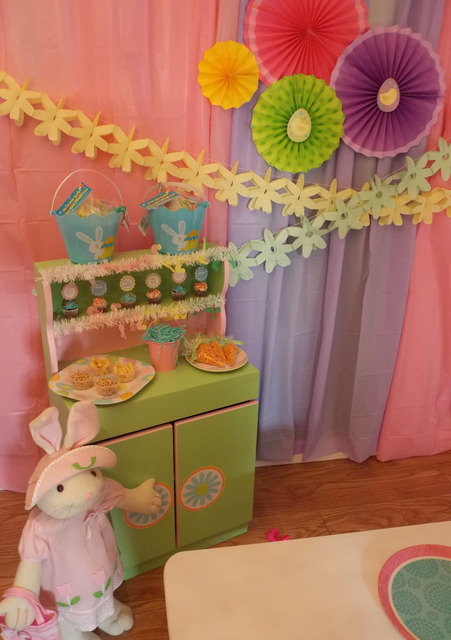 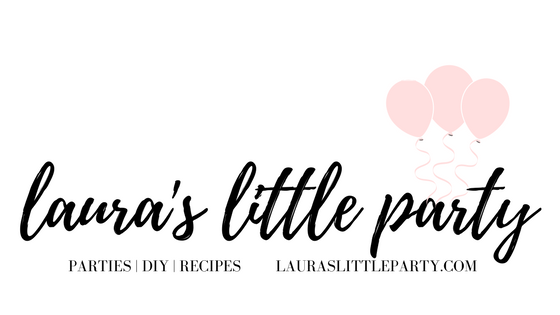 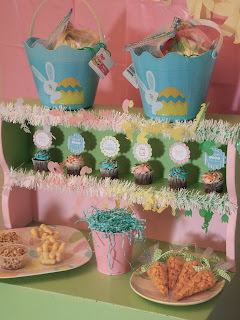 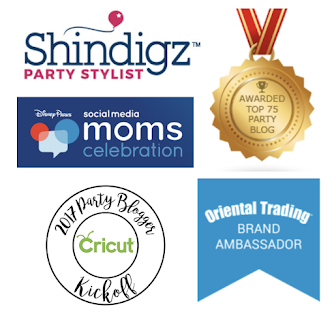 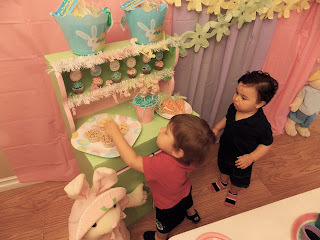 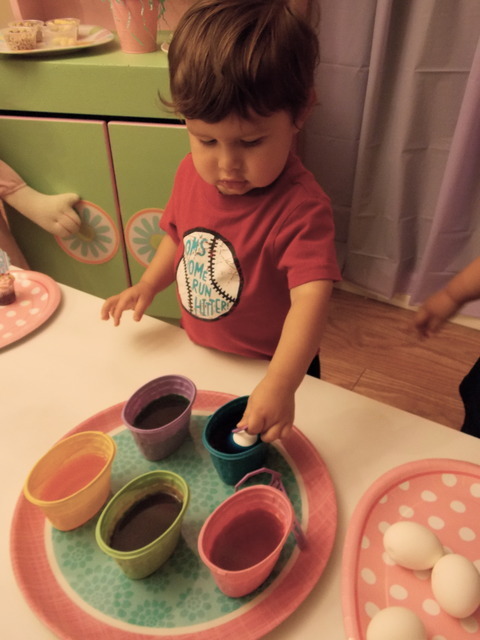 My toddler-friendly Easter party was a success, and I can't wait until next years' party!